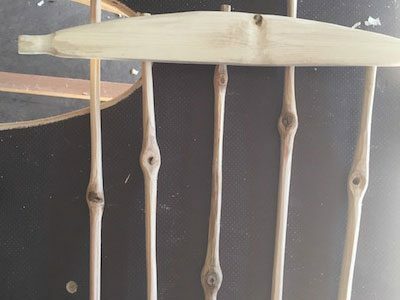 A brief summary of green woodworking techniques used in chairmaking. 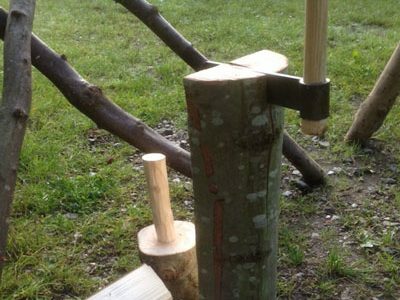 Using a froe and a wooden club the logs are split lengthways along the grain; this is known as cleaving. 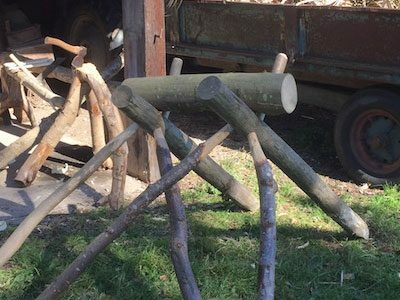 The cleft wood is then split again into quarters and then eighths. 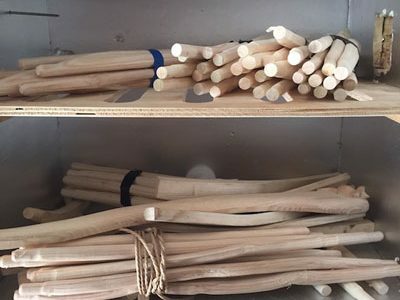 If size permits they are also split tangentially to produce leg, rung and rail blanks ready for further shaping with and axe or draw knife. 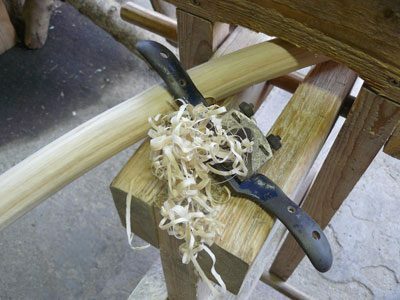 The cleft log is held in the shave horse and, using a draw knife, it is shaved to approximate dimensions ready for drying or bending. If the component needs to be steam-bent the piece is placed a steam chest until supple, then set to the required shape using a jig. The smaller components are dried in a drying cabinet over several days until they are seasoned. 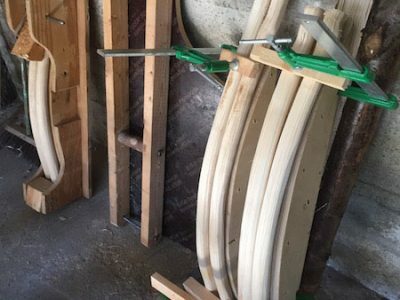 The dried rungs and rails are then worked with a small spoke shave to refine the dimensions to the selected size. Larger steam bent pieces are left in setting jigs for several days before being worked. The final finish is achieved using a cabinet scraper. 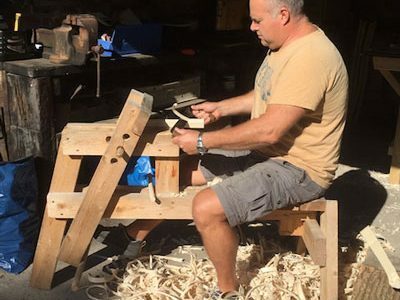 Depending on the chair design, individual components are joined together using either round mortise and tenon or traditional square mortise and tenon joints. 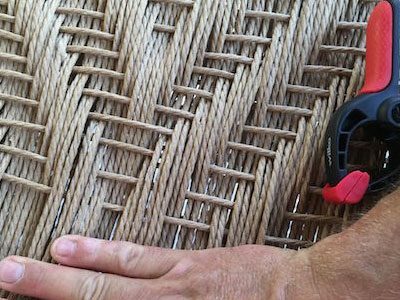 The joint’s strength and stability is achieved by compressing an oval tenon into a round mortise which means the use of modern glue is not necessary. 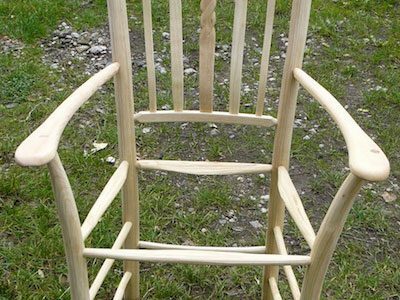 Once assembly is complete, the chair is ready for seating. Chairs are sealed with 3 coats of Danish oil. 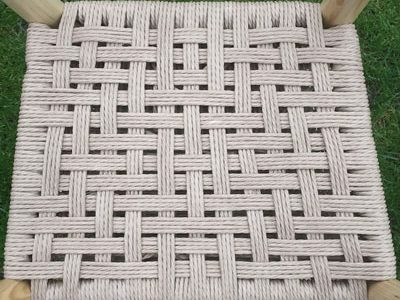 Once this has fully dried, a woven seat is applied. 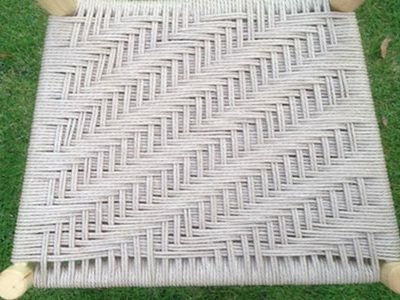 The seating materials I use are Danish cord, Sisal, paper rush, Kambaa or Elm bark. 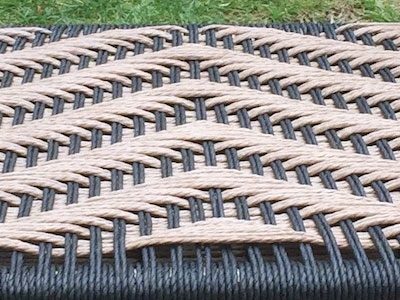 These materials can be woven in a variety of patterns that add individuality to the chair and enhance the natural characteristics of the form. By using different seating patterns, a set of chairs can be completely unique for each individual chair within the set. This is a time-lapse video of the seating one of my renowned and unique Gentleman’s Chairs. The seating on one of these chairs usually takes approximately 2 hours but this is condensed here to just 22 seconds! 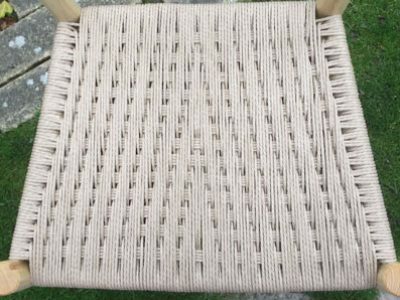 I am using Danish cord as the seating material and the weave is a modified Irish pattern weave. I hope you like it. 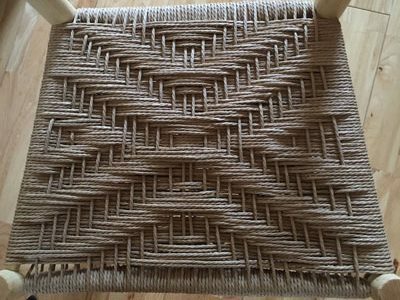 Chair seat weaving is listed on the HCA Red List of Endangered Crafts.